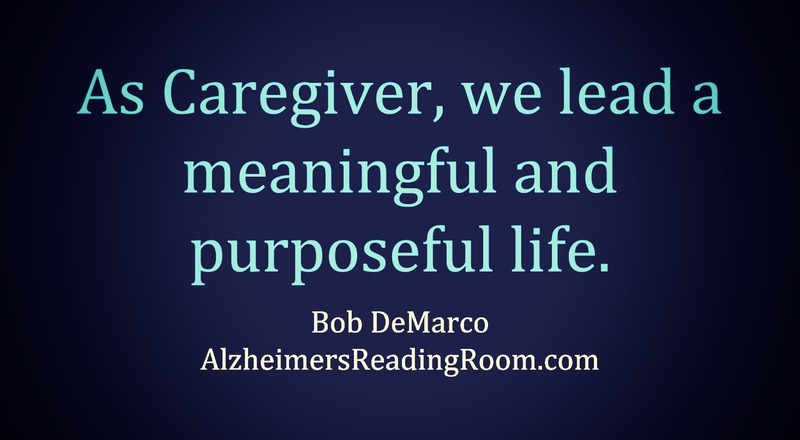 Caring for a person living with Alzheimer's disease isn't easy. It is a 24 hour, 7 days a week job. 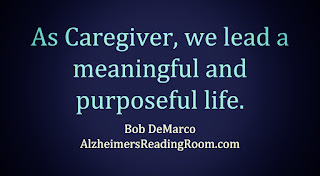 Alzheimer's caregiving is not a science, it is an art. The art of great love. The art of unconditional love. Think. Direct one's mind toward someone or something. Use one's mind actively to form connected ideas. To exercise the powers of judgment, conception, or inference - Reason. Think, conceive, imagine, realize, or envision.